I am announcing tonight my resignation from the Essendon Football Club board, effective immediately. I appreciate very much that this will cause some consternation amongst the Essendon family. However, I strongly believe that the best thing for the Club at this stage is for a new Chairperson in order to see through the next phase of this challenging and difficult time for our club. 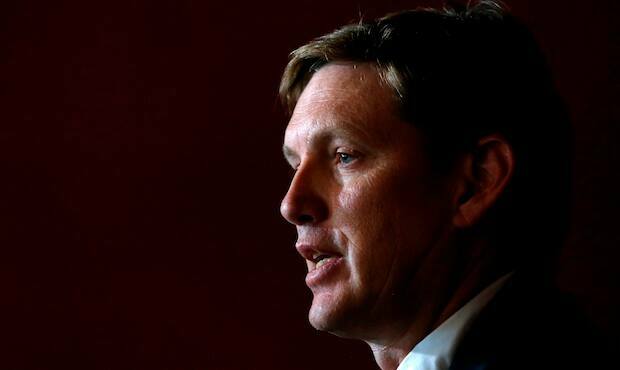 The ASADA report is close to finalisation, and I believe that I have put the interests of the players and their families first in this process, and I have been guided by my duty of care to them and to the Club throughout the last 5 months. I remain extremely hopeful that our players will be treated with fairness and dignity through the next stage, and I do trust the process that we have been subject to. Leadership is tough at times and I have tried to lead with fairness and integrity and at the same time acknowledging responsibility to make the right decisions. I am confident that this decision is one of those. My involvement, and indeed my family’s involvement over many years at both Essendon and the AFL have given me great strength during the last 5 months, because many of the people that I deal with are close friends. This has given me great insight and assisted in making tough decisions, but those decisions now may be seen to be clouded by those relationships or be seen as a conflict, and I am not prepared to have my decisions reflect poorly on the Club either now or in future. It is also for slightlyselfish but important reasons. I have significant responsibilities to the 100 people who work at my firm. They have stepped up to the plate admirably and very capably and the business is thriving but it is important that I return, and this means I cannot give to Essendon what it needs over the coming months. My business is 6 years old, and I have a clear vision of its future, and I need to get back to the business to prosecute that vision. What is happening at our club right now is a tragedy, but I know that it will survive. I believe in the Essendon Football club and it's people and it will get through this crisis with people like Paul Little, James Hird and Ray Gunston as its leaders. The Essendon Football Club is a great institution that is bigger than all of us, and survives and thrives because of the passion of our members and supporters, and the commitment of our players and our staff. Those of us lucky enough to serve the club must always keep in mind that we owe the club our best, not the other way around. I would like to acknowledge the players who have been my inspiration over the last few months. They have displayed much integrity, honesty and passion for their club. They have such a desire to play for each other. I would also like to acknowledge the players parents. I have come to know these people and understand they have been through a lot. I thank them for their trust in me and I promise I will continue to watch over their boys in the coming months. I urge all involved in the next stage of this process to put the interest of the players first and foremost. I will remain a loyal servant to this great club and will be available to help the club through the final stages of the investigation. This decision is also, finally, about my family, whose support has been unwavering, but who have also had to bear much of the stress of the last 5 months. This process has taken its toll on me, and on those around me, and I owe it to them to hand over now for the next phase. I will make no further comment until further notice.